Owning an investment property is a great way to add extra income without doing too much legwork. However, it can be difficult to obtain a loan for a property that you won't be living in--especially if you already have a mortgage. Fortunately, you can work around this problem by using home equity to buy an investment property. 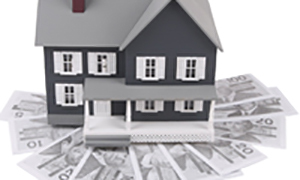 A home equity loan is money borrowed against the value of your home. Although the percentage can vary, most lenders will not allow a home equity loan to exceed 80 percent of the value of the home, which they determine via their own appraisal. Once it is obtained, a home equity loan works much like a mortgage. Are there restrictions for using home equity loan? No. There are rarely any restrictions for using a home equity loan. This, combined with the fact that the loan amount can be almost as much as your current home' value make it an excellent resource for using home equity to buy an investment property. A well-managed investment property will allow you to both pay off your home equity loan and reap a nice profit. How do I obtain a home equity loan? Although you are backing it with your most important tangible asset (your home), lenders will still qualify you for the loan, so you must approach it in a very specific manner. If there is any incorrect negative information on your report, you must get it taken off immediately. This includes any incorrectly reported information, inaccuracies, or information that does not belong to you. The best way to do this is to submit a consumer credit report update form to the reporting agency. Even though you're using home equity to buy an investment property, you're still acquiring debt. A lender won't care that you plan on paying for the loan with the additional income that the property it purchases will create. As such, you must clear room in your budget for your home equity loan. Your total debt should be less than half of your gross income. A home equity loan requires you to live in the property you are borrowing against, so prepare documentation that will prove to your lender that you actually live there. Even if you have a perfect credit score and no debt, the process for obtaining a home equity loan is difficult to navigate. As such, you should get help from a professional mortgage broker who will know how to get you the loan you need for your investment property. For more information, contact the Mortgage Architects team!